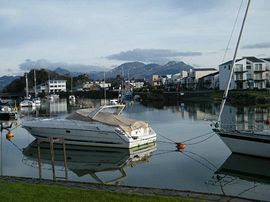 Our flat on the ground floor of Greaves wharf House is currently being converted into a luxury two bedroomed holiday let with a lounge/dining room, a separate kitchen & utility area, and a bathroom with shower screen. All the fixtures and the decor will be to our usual 5 star quality. We also have our own private car park with space for two cars. 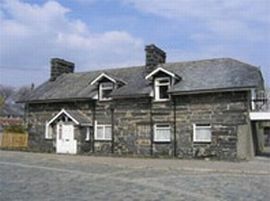 Work has now commenced and we look forward to our first bookings for Christmas 2011. 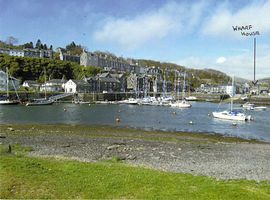 This property has a fabulous position adjacent to the slipway into the harbour. 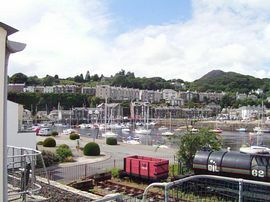 You can sit on the harbour wall just 20 yards from the door and enjoy the ever-changing tidal flow. 2 pets per visit welcome. 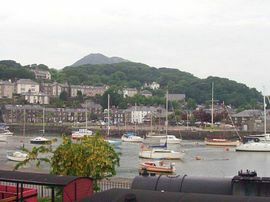 smoking allowed ouside in car park area..
From the high street Porthmadog we are just before the sailing club on the harbours edge.